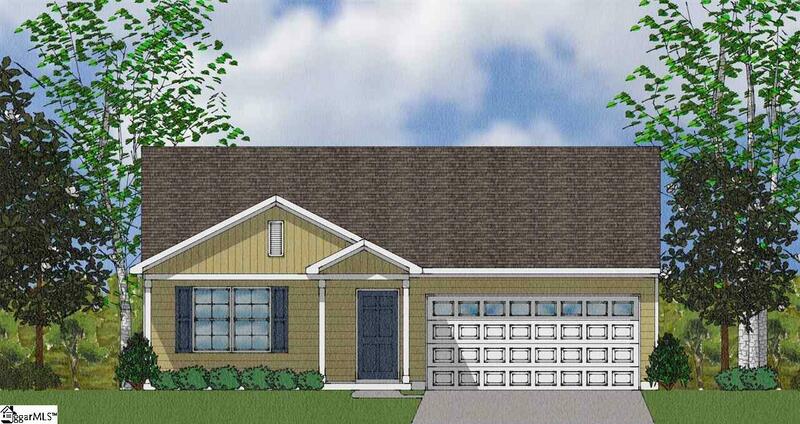 The Abbeyville is a charming bungalow with all living space on one level. The vaulted ceiling in the kitchen opens into the great room. Granite is a standard feature in all kitchens of Mungo Homes. Stainless appliances and upgraded cabinets complete the kitchen. A split 3/2 floor plan allows for privacy and easy living. The Master on the main has a walk in closet and attached bath. This energy saving home is tucked away in the heart of Boiling Springs. the home will be move in ready by May 1 2019 Come see this new neighborhood ! Condo Regime Includes Common Area Ins. Listing provided courtesy of Pamela Jennings of New Home Star Sc, Llc.